Eddie arrived as a foal with his mother, one cold November day in 2004. They were sent to us from my husband’s cousin as an anniversary present. 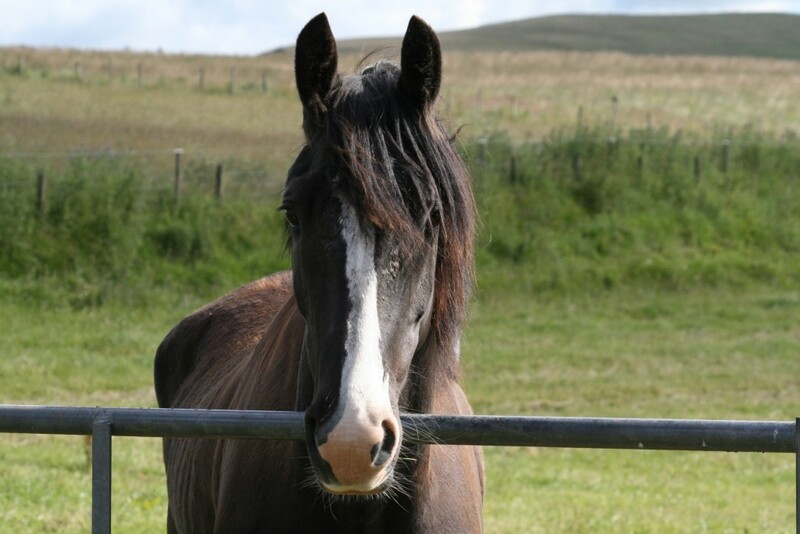 Eddie’s mother was a lovely little coloured mare, very timid and quite weary from the foal’s demands. Eddie was weaned shortly after their arrival and they both started to put on condition. All was going well. Emma (Eddie’s mum) was doing very well under saddle, proving to love hunting (buckle end ride), was placed in coloured showing and enjoyed a bit of jumping too. We decided to leave Eddie entire until he was three. At this point it was clear he was not stallion material and this is when his first near death experience occurred. The vet arrived to geld him and he didn’t do too well with the sedative and ended up flat out on the stable floor. The vet proceeded very quickly, finished the job (very well, I might add) and we proceeded to bring him round and slowly back up on to his feet. He was fairly traumatised and I took the decision to give him a few months off to recover and gain some more confidence. Near death experience two was GRASS SICKNESS. 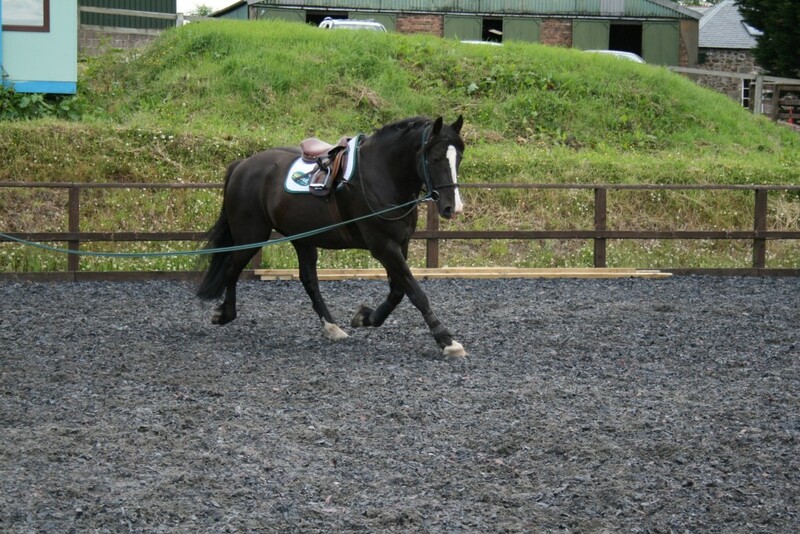 Eddie had been fine and had been working really well under saddle the day before. On the day in question, I went out to catch him for his hack to find a very listless, very poorly looking Eddie. He was very hang dog, looked like he had dropped a lot of weight overnight, his haynet was still full, and the thing that made him look very sad was his droopy eye lashes. I immediately called for the vet as an emergency call out. He was given a thorough check and then those ghastly two words were said. We were advised that if he didn’t eat anything in the next 24 hours, he would probably have to be put down and it was also probably a good idea to take him to the Bush where they would nurse him. I took the decision not to take him to the Bush as I thought the stress of the journey would probably be too much for him, so with the advice of our vet who said just try to get him to eat anything, we started operation ‘Eddie must eat’. We laid out 5 shallow buckets in front of him in the stable. One with carrots, one with grass, one with sugar beet, one with apples and one with some watery chaff and mix. We sat with him to see which bucket he preferred, if any. At first he was not interested, but after a little while he tried some carrots. He managed a couple of carrots. We removed the buckets and revisited his stable about 6 times a day with the buckets and, bless him, although he was feeling absolutely horrid, he started to welcome us with a little whinnie. We went through this process about 6 times a day and it became clear to us that this lovely little horse really was fighting for his life. The least we could do was help him and although many man hours were used up sitting around his stable, he started to pick up. He became more and more interested in the buckets arriving and after a couple of weeks decided that it might be nice for him to try a little walk in hand. Not too far as he was still terribly weak. To our amazement and delight he really enjoyed his little walks and made a great effort to munch some grass along the way. The vets were keeping in touch and came to visit him several times, in fact most of the vets from the practice paid him a visit and were amazed at his progress. They were particularly interested in how many poos he had done in a day and our chart on the wall with the poo count came in very handy . 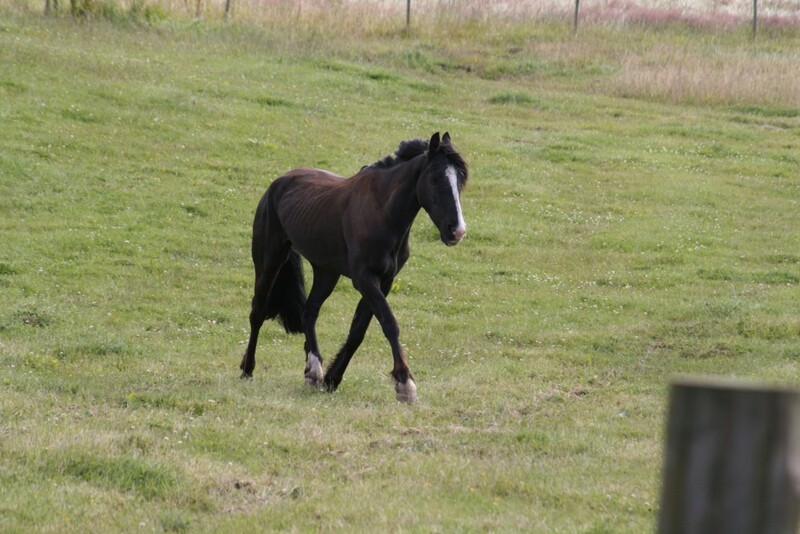 After about 3 months we turned him out in the field and I can’t tell you what a joy it was to see him, albeit very thin, trotting off round the field. There wasn’t a dry eye in the yard.It took Eddie a further 8 or 9 months to recover as fully as he could. He came back into work again showing very few after effects. He occasionally slightly chokes if his food is not wet enough, but otherwise looks and acts pretty normal. Well, you would think that would be the end of the story and Eddie would live happily ever after! Not so for poor Eddie. Along came near death experience 3. During a really bad day with wind and rain, the horses could not be turned out. For some really silly reason, like laziness, a member of staff decided not to tie Eddie up to one of three bits of baler twine on the gate, to muck him out. A bird flew up in front of him, he pulled up and back, lifting the gate off its hinges, and went somersaulting backwards with the gate firmly attached to him, finally stopping when he hit another gate. His legs were completely entwined in the gate and he was sitting up like a dog. He was shocked and kept collapsing. The vet and the fire brigade were called for. The fire brigade arrived within 10 mins, the vet closely behind them. The vet struggled to find a vein to sedate him to allow the fire brigade to cut him loose. Eventually with a towel over his face and several people sitting on him to keep him down a vein was found and the fire brigade manually cut him out. We were dreading what we would find as, despite the sedation, he leapt to his feet throwing us in all directions. There was, amazingly, only a couple of wounds to his legs, one to his head and a large swelling on his neck. It was decided to leave him for a while to calm down before we started to patch him up. Patch him up we did. Many injections later (and about £600 of bandaging later) miraculously, Eddie once again made a full recovery. He is back in work, he has a lovely new owner Ruth who absolutely adores him. Ruth knows the whole story and I even think it was his story that compelled her to buy him. We keep in touch with Eddie updates on a regular basis as the Eddie fan club in the yard are always asking for him. I have never met such a fighter and hope that he has a great long life with all delights of life that he so deserves. Why the name Eddie Nine Lives? We just thought he was a bit cat like, bouncing back every time. We hope he doesn’t have to use up all nine lives and that three is plenty and more than most. Thank you to everyone who has helped with Eddie’s recoveries, it was definitely worth it.